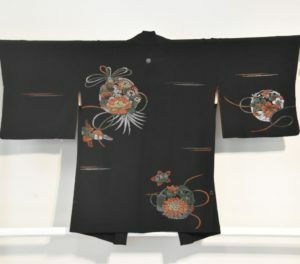 Orange on black silk Haori. l250 mm’s long and 710 mm’s across. In good condition. SKU: 13623. Categories: Haori, New Arrivals, Textiles.